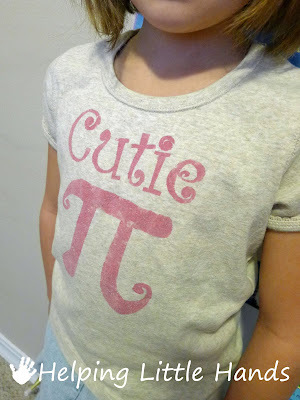 We've done so many Pi-Day activities and Pi related crafts over the years that I thought it would be a good idea to put all the links in one place. If you click the links or the pictures, there are directions and/or a pattern to recreate each activity. 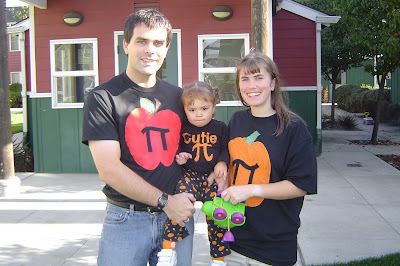 Last year, I developed several fun Kindergarten Pi-Day Activities to do with Firecracker's kindergarten class. 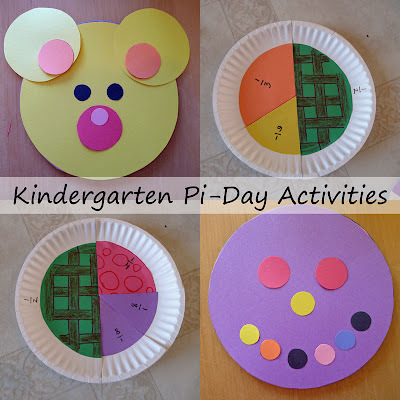 The activities included tracing paper plate "pie" fractions, making circle pictures, reading some books about circles, and a printable patterns worksheet featuring pie pictures. Oh, yes...and of course the snacks. 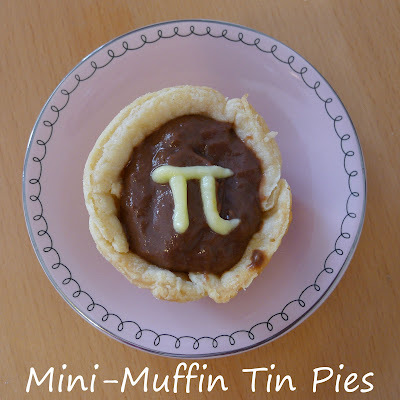 We served Mini-Pudding Pi Pies for the kindergarten snack for the day. 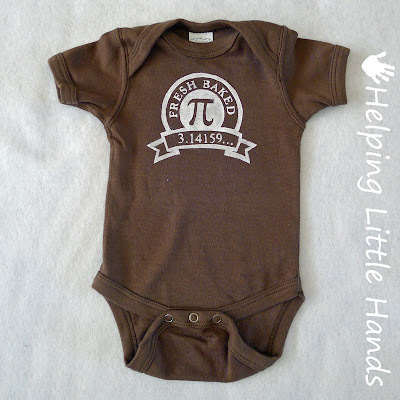 ...but if he spits up he may end up wearing this Little Pi Guy Outfit to come home. 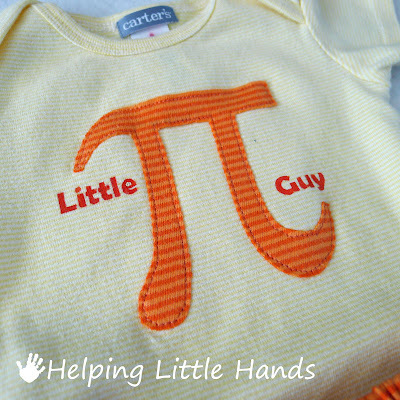 And baby will not be the only one wearing a Pi outfit. When I decorated shirts last year, I made sure they were a little big, so they still fit the kids this year. Firecracker is our Cutie Pi. Little Brother is our Mud Pi. Sweet Pea is our Sweetie Pi. 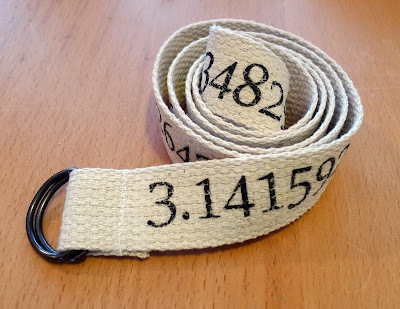 He does have a Digits of Pi Belt that I made him for Christmas that he can wear to celebrate Pi Day hwen he needs to wear something more professional than a T-shirt. 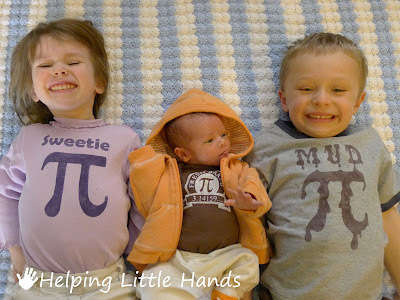 I most likely will be wearing my Pi in the Oven maternity shirt...even though #4 will be out of the oven by then. Hopefully my tummy won't fill it out quite this much by then. 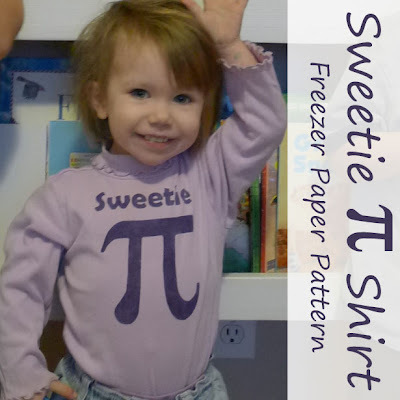 If you want a Pi-Day shirt that will also work for a nerdy Halloween or Thanksgiving statement, you might think about this Pumpkin Pi Onesie, with free included Freezer Paper Stencil...easily adaptable for larger sizes too. 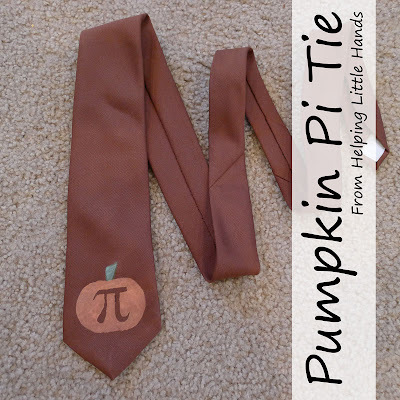 Or how about a Pumpkin Pi Tie? Oh, and I will also be wearing my Digits of Pi Necklace from Boutique Academia. 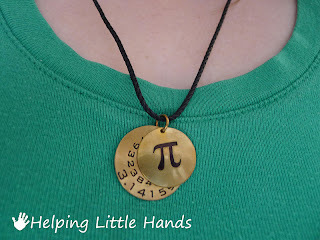 And if you love math enough to consider celebrating Pi Day, you'll definitely want to enter my current giveaway for a Pi Necklace from Boutique Academia. The giveaway is open until March 18th at 12:00am. How are you planning to celebrate Pi-Day? What cute ideas! I will be getting pies for my kids this year...I'm not very good at making pies! 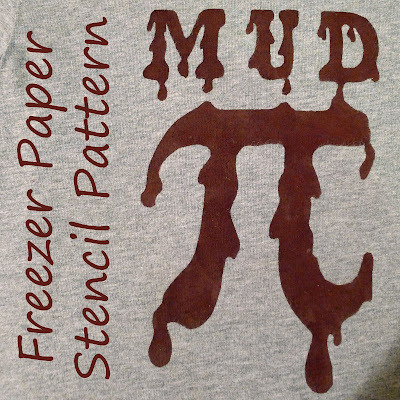 Love the sweetie and mud shirts, pinning this post! 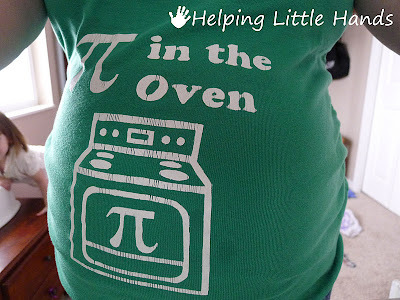 I'm making the Pi in the Oven shirt to wear at school this year (I'm 34 weeks)! Thank you so much for the download, I know my students will get a kick out of it! Love the belt and the necklace! My dd wanted to know if you made the pi plate. She is obsessed with making a "real" pie plate. She's a bit sad we are only making paper ones today. Love it! I am hosting Pi Day at my work and we are ordering lots and lots of pies! 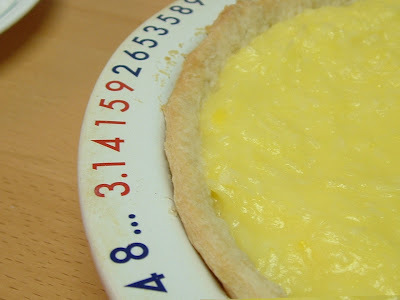 I definitely think I need to make a pie for pi day!